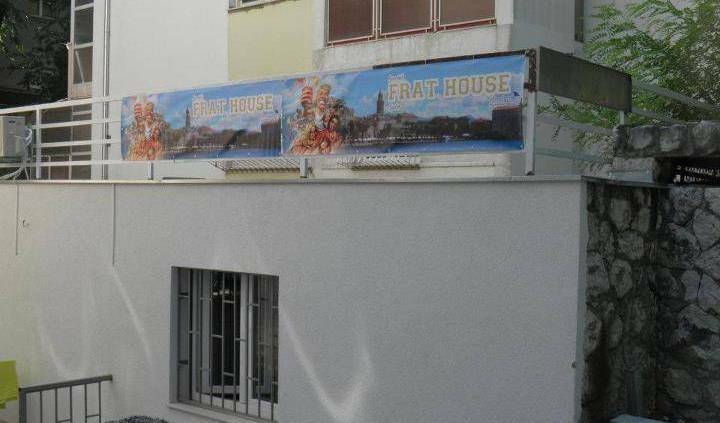 Welcome to CroParadise hostel! 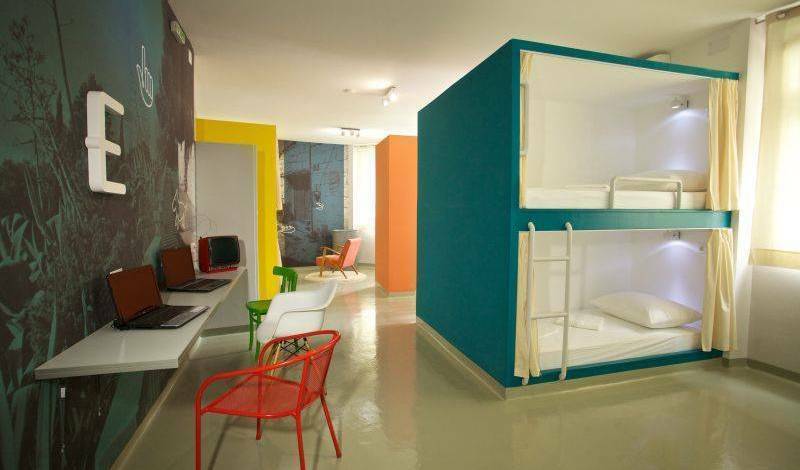 Hostel is offering beautiful dorms, private rooms & apartments in the dead center of Split. Welcome to Apartments Nina in Split. All apartments have air-conditioning, satellite TV, private WC and parking space. It is near the sea and the center of Split. Welcome to Rooms Meri, situated in the the old downtown, next to Diocletian Palace, top Center! Welcome to Apartments Mia (for 5 persons)!This comfortable apartment is situated 100 m from center, 500m from bus station, ferry port and train station and 400m from most popular beach Bacvice. 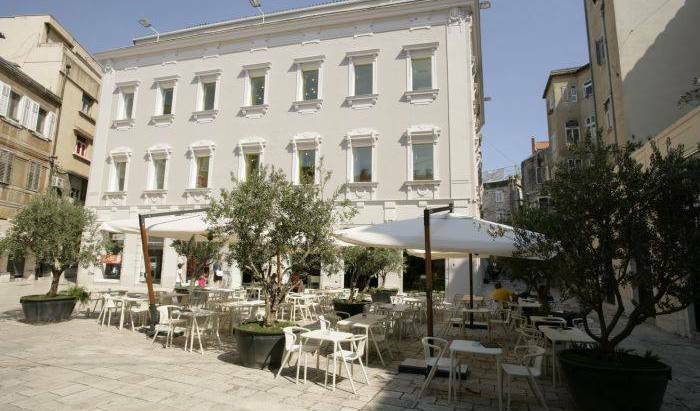 WE ARE LOCATED IN THE HEART OF SPLIT HISTORIC CENTRE , OLD TOWN ! ! . THE FOLLOWING SMALL STONE COTTAGES & APARTMENTS & STUDIOS & PRIVATE ROOMS ARE LOCATED AT THE SAME ADRESS; Solurat 22 , Split , Croatia . Guesthouse Loza is located in the centre of town. 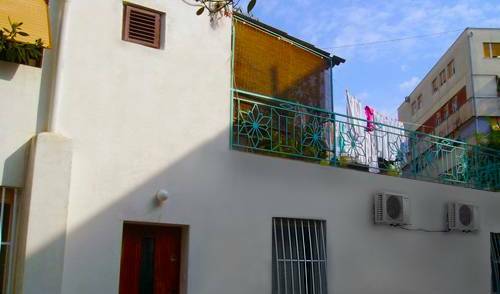 Friendly owners offering to you one double bedroom with air-condition, fridge and WiFi, private bathroom and terrace. An urban villa to give you the most comfortable stay in Split! House is in the center of the city on the square called Prokurative (Trg Republike). We ofer you two brand new renovated apartments in the heart of the city:One is 95m2 apartment with 2 huge bedrooms and large living room, kitchen. Second one is small, new renovated 22m2 apartment in old stone house. Welcome to House Sandra located in the very centre of Split. Quality accommodation offer makes it a great place to stay in Split for every age group. Our house, offering you ROOMS FOR 2 PERSONS, use of a well equipped kitchen, parking, is only 2 min from first beach away. In front of that kitchen there is Outdoor Dining area in bamboo-reed shade where you can sit and eat or just socialize. Cottage Bacvice offers you the perfect solution for your long or short term holiday on the Dalmatia coast. 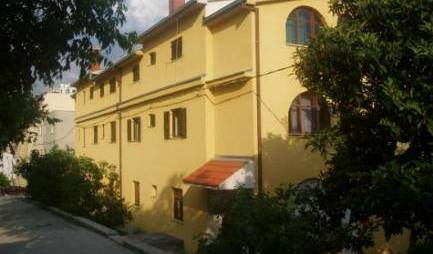 Guesthouse Matkovic includes 3 star rooms and apartments. 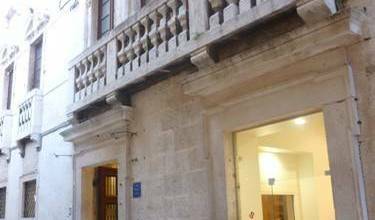 It is located in the strict center of Split inside the Diocletian palace. It is within 2 minutes walking to all cultural sights and transport terminals (bus, train, ferry). Apartment "Goran" is the ideal accommodation for two persons. Situated only 5 minutes walking from the center (Dioklecian Palace) and 10 minutes walking to the beautiful beaches that are located along the coast of the famous hill Marjan. Great, spacious & cozy apartment in center of Split!!! Apartmen is situated in the center of the city, apartment has two rooms, first room is double bed room and second room is a twin room. Apartment has one bathroom, air condition, kitchen, TV, ect. We are located in center of city near everything. Enjoy luxurious rooms in the heart of the city. We are located in the beautiful mediterranean city of Split, near the old Diocletian's palace from the time of the Roman empire. Near us are bus and railway station, ferry port and popular beach Bačvice. Excellent opportunities for holidays in the most beautiful city . Nice apartment situated in an ideal location for swimming and sightseeing in the city of Split. 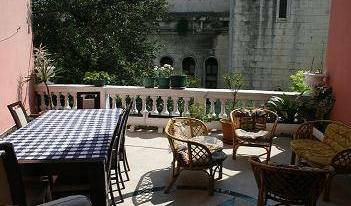 The apartment Artistic is situated in the center of Split, in the old, historical part of the town and it can host 6 persons. Apartment Karla is situated near the old Split's city center, Diocletian's palace, there's a 5-10 minute walk, and located just 200 meters from the most popular beach Bacvice which makes it the perfect accommodation for your stay in Split. All our apartments are situated in the apartment buildings in the same neighbourhood - part of Split called 'Spinut' - just minutes walk from old city core of Split - Diocletians palace and Riva. 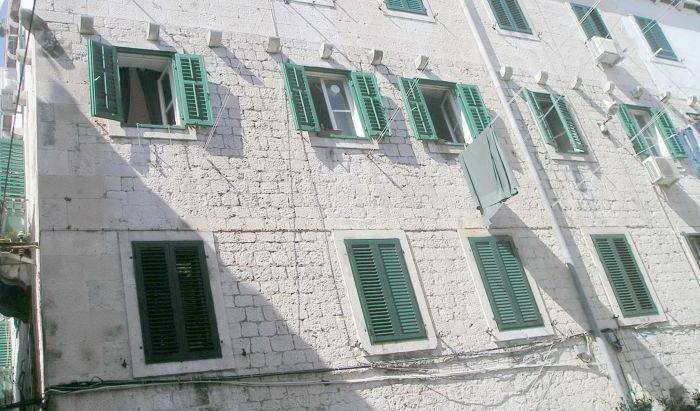 TWO BEDROOM COTTAGE IS LOCATED IN THE HEART OF SPLIT HISTORIC CENTRE , OLD TOWN ! ! . THE FOLLOWING SMALL STONE COTTAGES & APARTMENTS & STUDIOS & PRIVATE ROOMS ARE LOCATED AT THE SAME ADRESS; Solurat 22 , Split , Croatia .